There is at least a 50 percent chance that children in military families are starting at yet another new school this year. Military families regularly get new duty station orders and must begin — again — the process of moving to a new community, house, and school. Usually, these moves happen with very little warning for families or the schools their children will be attending. 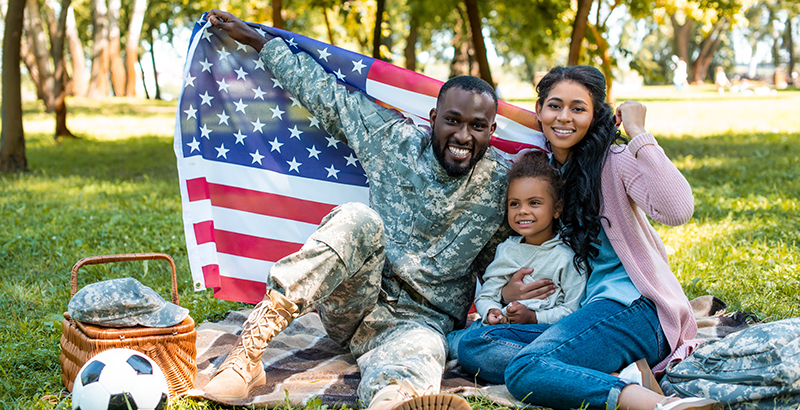 Beyond these well-known and high-frequency military family transitions, what do we know about the educational experiences, outcomes, or postsecondary readiness of military-connected students? What works best in helping these children succeed? To date, there has not been much in the way of comprehensive or actionable information about military-connected students who attend U.S. public schools. We know more about kids in Department of Defense Education schools, but they constitute a small minority of the student population. This lack of awareness translates into limitations on what we know about the academic progress of, and programs and initiatives supporting, military-connected students. In addition, districts and schools often don’t know — or know much about — these students in their midst, leaving their valuable social contributions and emotional challenges underappreciated. With the new Military Student Identifier required by the Every Student Succeeds Act, educators, families, administrators, and policymakers can better understand whether these students and the schools they attend are succeeding — and why. It also will help inform military families about which schools may be the best fit for their children’s needs. Under ESSA, every state and district must collect and report assessment data on students with a parent who is active duty in the Army, Air Force, Marines, Navy, Coast Guard, or full-time National Guard. Assessment data is obviously not new; what is different is that the data will be tied to this specific subgroup, which should provide teachers, administrators, schools, and families with a clearer understanding of how these students are performing and any potential supports needed. America’s 1.2 million military-connected students can experience six to nine relocations during their K-12 years – up to four times as many as typical American schoolchildren do. As a result, they are at much greater risk of receiving an uneven and inconsistent education due to different standards, graduation requirements, and expectations. Although military-connected students are resilient and adaptable, the stressors caused by transitions and deployments make effective and timely social and emotional support critical. Our new report by the Lexington Institute and Collaborative for Student Success, Getting School Districts Ready for the Military Student Identifier, identifies a number of essential practices for meeting the needs of military-connected students and effectively using the MSI under ESSA. Based on visits and interviews with districts and schools in California, Georgia, Illinois, Missouri, Nevada, and Virginia, the report’s framework can be used for benchmarking district and school activity in serving military-connected students. ● Direct support for students, including social and emotional assistance, using both district and military resources; this includes having an efficient intake system for identifying military children’s academic and nonacademic needs within two weeks of enrollment at a new school. ● Aligned educational leadership, where teachers receive focused training on the needs of military-connected students and are provided with data on individual student progress. ● Systems and communities, with districts reaching beyond the walls of the classroom to local military bases. This can provide stability when leadership at military installations and in districts changes, and it can help nurture success in the face of changing demographics as service members transfer in and out, varying the racial, ethnic, and socioeconomic makeup of base personnel. Crucial to the overall success and the implementation of the MSI are efforts by districts and schools to foster a data-driven culture to guide instruction, intervention, and enrichment, including flagging military-connected children in student data systems to keep information about them ever-present for educators and administrators. While it is not explicitly required under ESSA that military-connected student reporting include all the other ESSA accountability indicators, like the growth of individual students on assessments and graduation rates, there would be considerable value in states and districts working to include this capacity in their student data systems. If used to its full potential by districts, schools, and educators, the MSI will not only benefit military-connected students but will also reveal their impact on other students and the schools they attend. Programs designed to address these children’s unique needs may also apply to other groups of students. And, highlighting military-connected students and the service and sacrifice their families make provides valuable lessons about what it means to be an American citizen. Doug Mesecar and Don Soifer are research fellows for education at the Lexington Institute in Arlington, Virginia.